Today we are looking at the Rosslyn condo submarket to see how much condo you can get for your money. We are going to break things down by price-per-square-foot for condos that have sold in the past three months. There were 53 units that sold between May 4th and August 1st with prices that ranged from $190,000 to $1,779,000. Let’s dive into the numbers. This two-bedroom residence at The Atrium checks a lot of boxes on buyers’ wish lists. 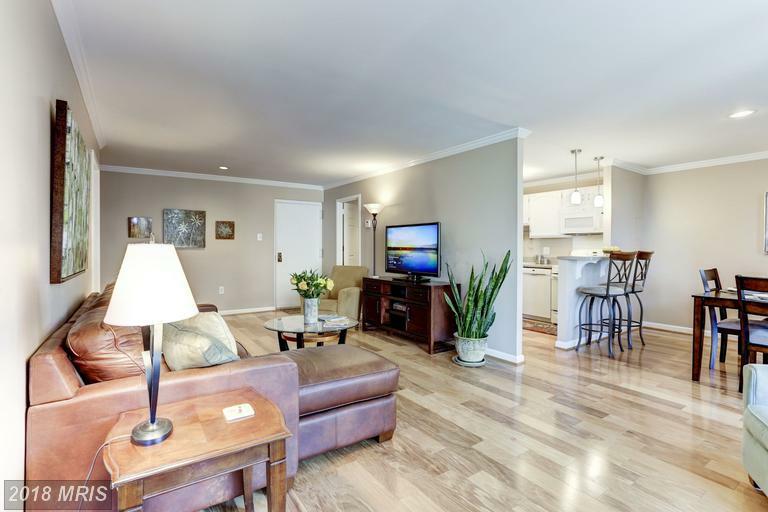 The home has been renovated recently, features an open kitchen, tall ceilings, bedrooms on either side of the living room and the unit comes with an outdoor balcony. The condo was on the market for about a month and a half before being purchased for 97% of the listing price, which is a pretty decent discount for the type of property, time on the market and location of the property. Let’s move on to the properties where the purchaser paid top dollar. 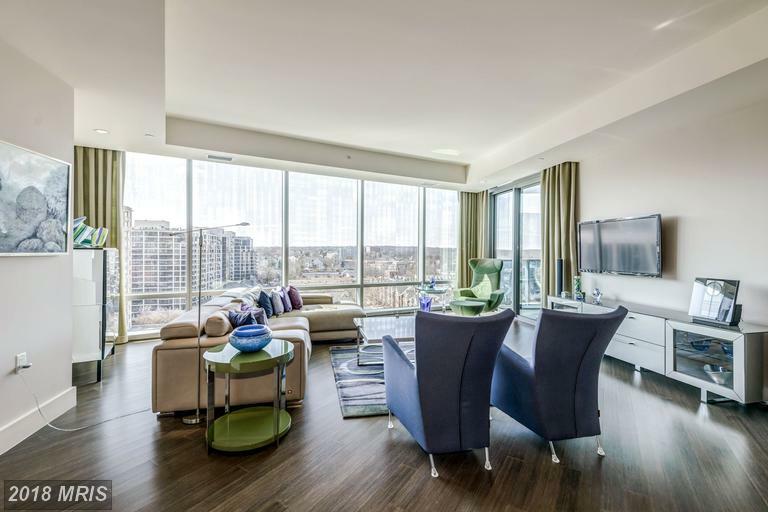 This massive Turnberry unit comes in as the third most expensive (based on price-per-square foot) condo that has sold in Rosslyn in the past 90 days. At well over 2,000 square feet, the home features two bedrooms plus a den and it is just one door installation away from being a three bedroom palace in the sky. The home has floor-to-ceiling windows across the entire side of the home that brings in great natural light from the western exposure. The views are exquisite from the 17th story and now that the construction at Key & Nash has finished, the disruption on this side of the building is minimal. This Gaslight Square unit comes in second on our list with a price-per-square-foot of $824. 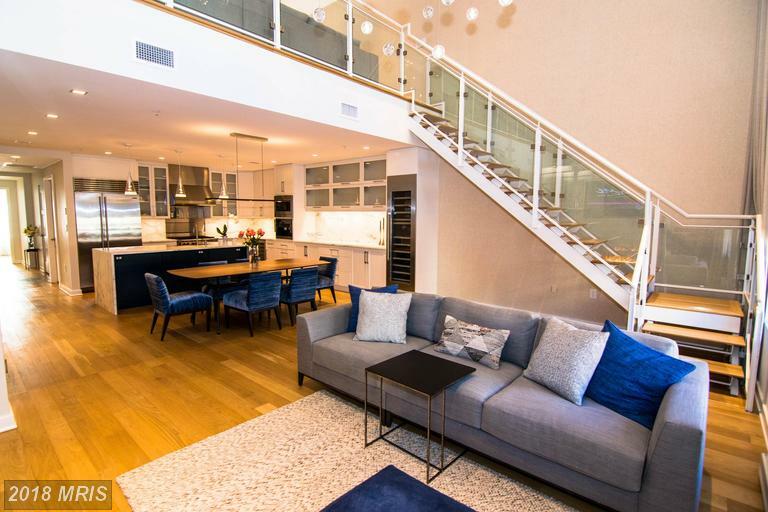 The penthouse level unit features direct elevator access, a gourmet kitchen, two stories, top-of-the-line finishes and a private rooftop terrace. This Gaslight Square unit was built in 2014 and is one of the preferred floor plans because it features two stories and an outdoor terrace with great natural light. The buyer certainly preferred this floor plan too because there was only one condo that sold for more per square foot in the last 90 days. This residence at The Waterview is the perfect trifecta of a luxury condo, show-stopper view, and a floor plan that is large, but *just* not big enough to be a true two bedroom. With that recipe, we end up with the most expensive condo based on square footage. The residence features floor-to-ceiling windows in the living/dining space and the bedroom that overlooks the Potomac River and Key Bridge. The kitchen is open and features a kitchen island, gas cooking, and high-end finishes. Now that you know what the upper end of the spectrum looks like, let’s take a look at those buyers in Rosslyn that got the most amount of square feet for their money. The 1510 Condominium starts off our list of least expensive condos and not only is the home on the less expensive side, it’s also on the lesser-known side. 1510 Condominium is located at 1510 12th St N in the area of Rosslyn that is bounded between Ft. Myer and Route 50. The community itself is a little bit older as it was built in 1972 and one would expect a condo on this list would need a significant amount of interior upgrades. Luckily for the buyer of #202, the home features updated Pergo wood floors, new paint, a renovated kitchen and a renovated bathroom. At almost 900 square feet, it is an incredible amount of space for a Rosslyn one bedroom at this price point. 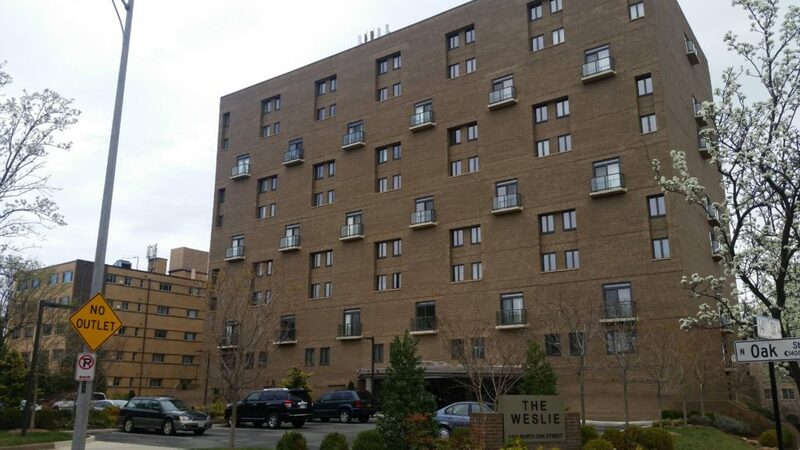 Good ole Westmoreland Terrace comes in as the second least expensive condo on our list. 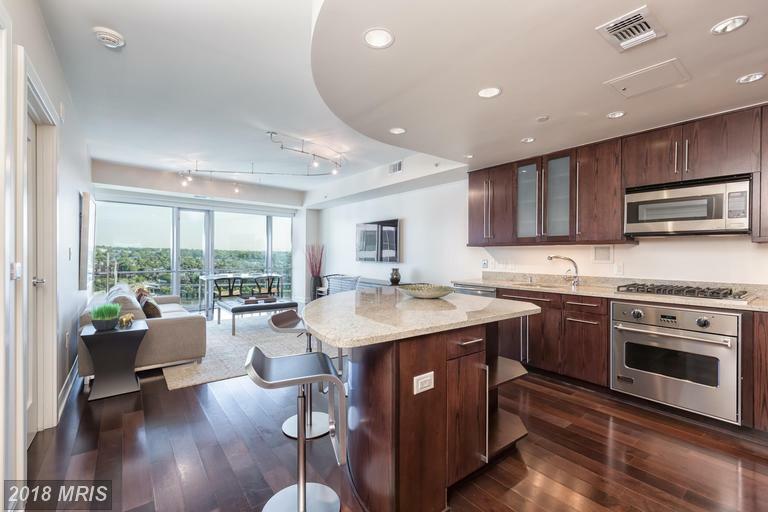 At just $233k, this is about the entry level price you can expect to pay for a condo in Rosslyn. The kitchen and bathroom were recently renovated and this floor plan offers distinct spaces for living and dining. For units at Westmoreland Terrace, sellers have to renovate and upgrade the interior if they want any chance of selling their property. Non-renovated units sit on the market for an extended amount of time at older communities like Westmoreland Terrace and Rosslyn Heights. 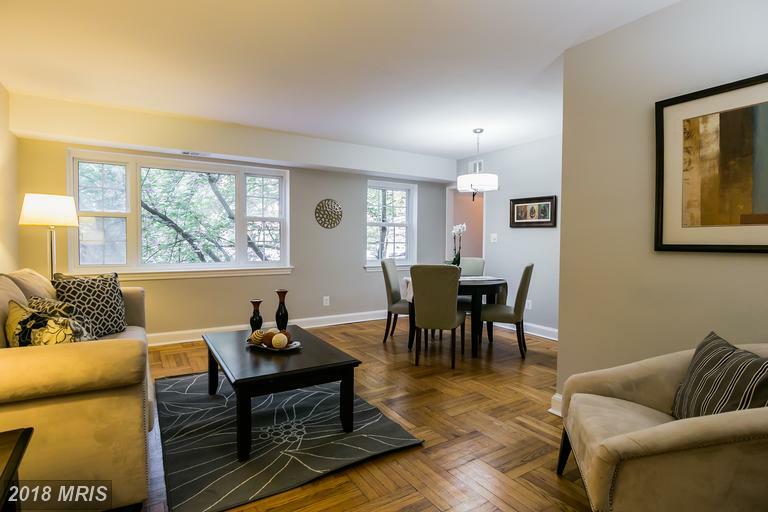 This renovated unit sold in six days. Someone got away with robbery and the police are not doing anything about it. 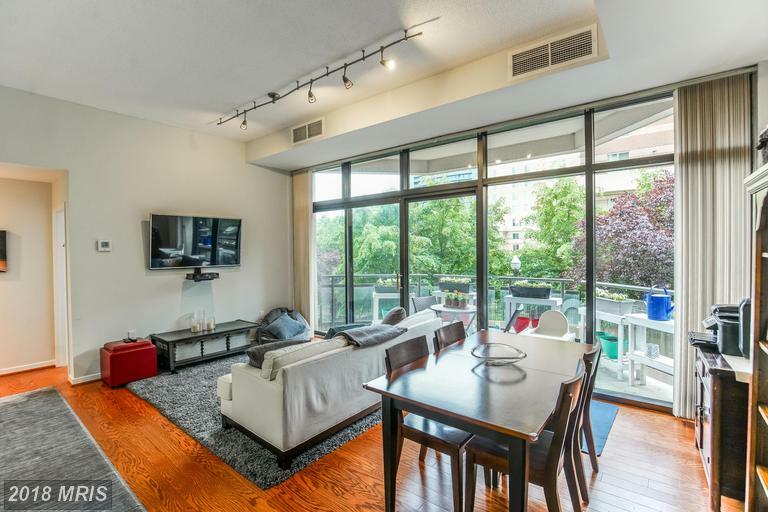 A three-bedroom unit in Rosslyn at this price point is extremely rare, but it can be explained. The unit is in need of a full renovation. So it begs the question, if it was a fully-renovated unit, what sort of price point would we be looking at? The Weslie is a unique community in that most units are either two or three levels, so the floors are labeled G, 3, 6 and 9. The non-renovated #308 home sold for $650k. #608, directly above #308, is fully renovated and sold in 2012 for $1.7M. Now, it is important to know that the view is drastically better on the sixth floor where you have unobstructed monument views compared to the third floor where you still get a good part of the Bromptons at Monument Place townhouse community. The final thing to note on this unit is that it was originally priced at $850,000. The home took over 300 days to sell and the buyer got a $200,000 discount off the original list price. To recap, the most expensive condo was a one-bedroom unit at $728k and the least expensive was a three-bedroom unit at $650k. The opportunities are out there for what you’re looking for you. You just need to find them.